911 Restoration Colorado Springs is capable of handling any type of water damage, including sewage backup. 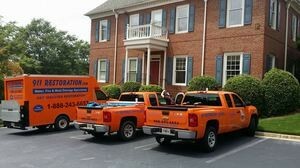 In a disaster, customers need professional and reliable help, and we are here to provide that. The expert technicians here are available 24/7/365. In all sewage back up problems, you require fast action, so we promise you a response time of within 45 minutes and same day service for all emergency services you require. Here at 911 Restoration a fresh start is the new beginning we promise customers. Everyone deserves a second chance after a disaster. We want you to know that you will get that second chance. The moment you pick up the phone and call us, we will handle everything for you. The sewage backup Colorado Springs experts recommend that if homeowners hear a gurgling sound coming from pipes, sinks, or toilets after water use, then they should give us a call and shut off their main water line. A flood, from a broken pipe, can cause such a difference in pressure that it will cause your sewage to back up. This is why we recommend that homeowners become familiar with their water shut off valve. Turning it off in the event of a pipe burst flood can keep waste from inundating your home. Waste pipes and sewage lines are blocked if they become overloaded with waste. Our sewage backup Colorado Springs staff suggests disposing of waste in a responsible fashion. Grease should be disposed of in a container, and not the drain. Things such as paper should be thrown away and not flushed, unless the paper was designed to dissolve in water. Keeping lines clear is an effective way of keeping your mind clear. Trees and shrubs, when looking for water, will burrow roots down further into the ground where water pipes lay. They are capable of piercing pipes, so we recommend homeowners understand where their sewer lines are. By avoiding planting trees in those areas, then plants will not be able to infiltrate pipe lines. Furthermore, homeowners should be on the lookout for signs that blockage or backups are about to happen. Those noises mean that a pipe is becoming clogged, and you require immediate service. Our team can handle anything, so call our sewage backup Colorado Springs team with 911 Restoration Colorado Springs today! The sewage backup Colorado Springs team at 911 Restoration is IICRC certified in order to bring you peace of mind in any restoration situation. Raw sewage contains microbes that require industrial-grade sewage removal and sanitation. At every job, we come equipped with rebreathers, hazmat suits, vacuums, dryers, blowers, and pumps. We get the wastewater out faster than it came in, and we do it with everyone’s safety in mind. Our team is trained in the use of techniques that penetrate into surfaces and removes odors. Your peace of mind is a top concern of ours, so it is important that you can return to a home where you can relax. 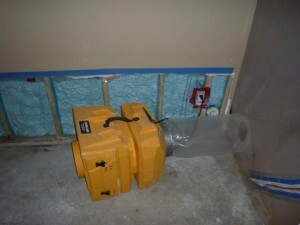 We dry spaces, and repair homes, so homeowners know there house is secured. 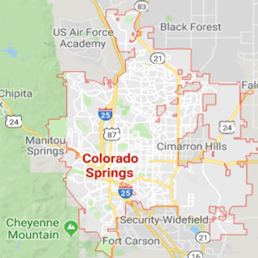 If your home is already dealing with a category three backup crisis, then contact our sewage backup cleanup Colorado Springs team with 911 Restoration Colorado Springs today!